Sir Edward Lister served as Chairman, Chief of Staff and Deputy Mayor of Policy & Planning at London & Partners Limited until August 2016. Prior to coming to City Hall, Sir Lister served as a Leader of Wandsworth Council from 1992 to 2011. As the longest serving council leader in the country, he made Wandsworth the most successful value for money local authority in the country with the country's lowest council tax charge and top satisfaction ratings from its residents (Place Survey 2009). 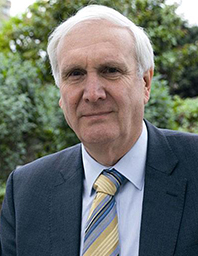 He has been the Chairman of Homes and Communities Agency Limited since July 2016, and Director of Covent Garden Market Authority since June 2016. He was honored with a Knight's Bachelor in the Queen's 2011 Birthday honours list.